Samantha is lonely. Her boyfriend Mark didn't want commitment. Sam just thought he was spinning her a line, because isn't that what they all say? Surely everybody wants to be with somebody they love? Right? When Sam starts watching a true-crime documentary about dangerous US murderer, Dennis Danson with Mark she is caught up completely in the case and joins online forums dedicated to getting Dennis exonerated. It isn't until she and Mark split that Sam plucks up the courage to write to Dennis in prison. She doesn't expect a reply from him, and she certainly doesn't expect to feel the way that she does when the reply comes. Dennis Danson is charming, charismatic and definitely not a murdered. Sam is going to prove his innocence with the help of Carrie, maker of the documentary that she and Mark were glued to for months. Sam makes a commitment to help free and get justice for Dennis. When she agrees to visit him for the first time she has no idea what to expect, but they are undeniably attracted to one another. As the fight for justice continues Sam extends her stay in the US and agrees enthusiastically to Dennis' surprise proposal. But can even his future wife really know how to handle Dennis when he is finally released from prison and cleared of any wrongdoing. 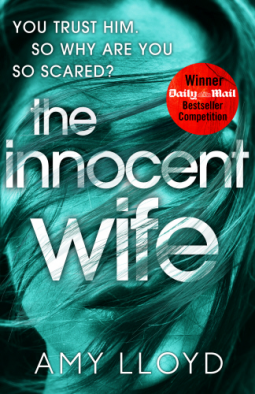 The Innocent Wife is available from 28 December 2017.